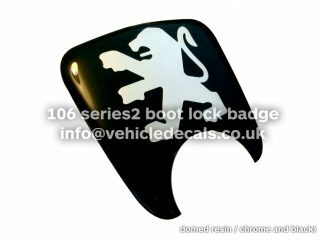 We’ve just added our very own brand new Citroen Saxo Door Badges in a range of traditional looking styles, including the standard Saxo VTS and Saxo VTR OEM-looking ones, as well as the popular white version and black with red “S” version. 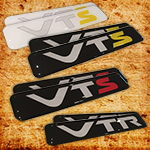 Check the VTS ones out here, and the standard VTR ones here!  If you are after another style or a custom one, then get in touch with us – we’re always looking to add to the products we offer. 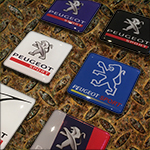 Another little update.. we’ve just added a load of our very own brand new Peugeot Sport (Pugsport) 35mm Inlet Badges in a range of styles. Some with a modern twist and some with the retro look, we’re sure you’ll love them. Check them out here! 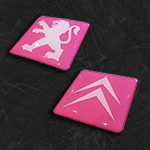 We’ve added a frequently requested product in the form of our popular polyurethane domed 35mm manifold badges for the Peugeot and Citroen engines, but this time in Pink! 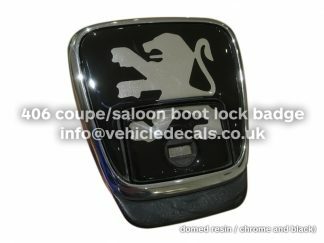 Check them out for the Citroen here, and the Peugeot ones are available here. Produced on high quality vinyl with a top coating of premium resin, they’re sure to bring things to life. 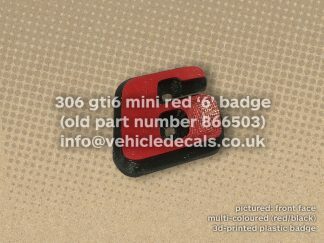 We have recently reproduced the Peugeot 306 GTi-6 Little Red “6” Badges (old Peugeot Part Number 866503), most notably found on late Phase2 / Phase3 306 GTi-6 doors and hatches. 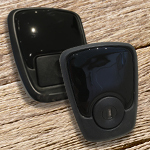 They’re 3D-printed in black plastic with a robust red secondary colour face. 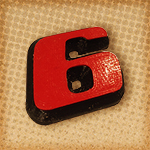 They’re a perfect replacement for your worn, tatty, or simply missing red ‘6’ badge. Popular amongst Peugeot 205 owners too who have gone down the GTi-6 conversion route and want to add a little something in the way of recognition to their 205’s! Check them out here!